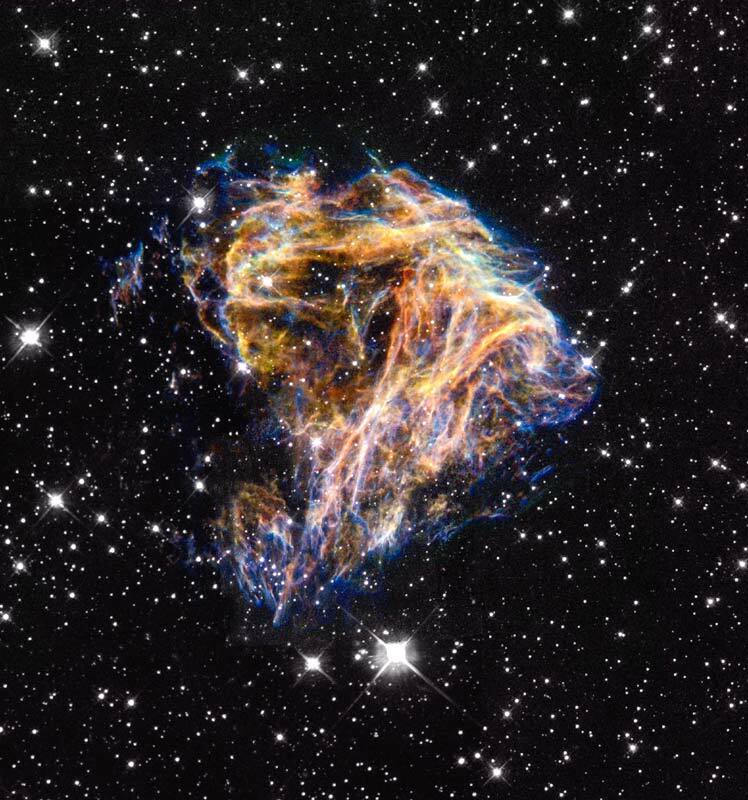 Resembling the puffs of smoke and sparks from a summer fireworks display in this image from NASA’s Hubble Space Telescope, these delicate filaments are actually sheets of debris from a stellar explosion in a neighboring galaxy. Hubble’s target was a supernova remnant, denoted LMC N 49, within the Large Magellanic Cloud, a nearby, small companion galaxy to the Milky Way visible from the southern hemisphere. This filamentary material will eventually be recycled into building new generations of stars in the LMC. Our own Sun and planets are constructed from similar debris of supernovae that exploded in the Milky Way billions of years ago.